Twilight People was featured at yesterday’s HEAR Network Conference hosted by Amnesty International London. 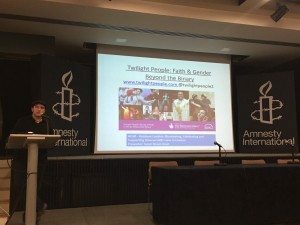 To support the LGBT Consortium’s Still Out There report funded by Trust for London, the HEAR London for All and Policy and Campaigns projects held an event to highlight the intersectional lives of London’s LGBTQI+ community. The whole day event was a space for the voluntary and community sector to look for ways of working together to improve the lives of LGBTQI people, and we will also welcome statutory sector colleagues who want to learn more. 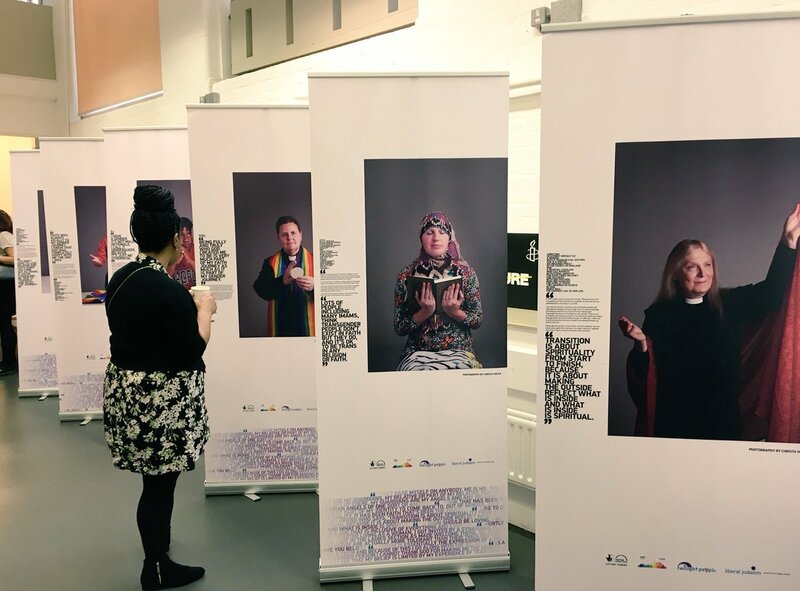 The day included the fabulous pop-up exhibition from Twilight People introduced by founder Surat-Shaan Knan (pic below), Poet PJ Samuels, and presentations from Micro Rainbow International, UKGLIG and LGBT Consortium, workshops, stalls and networking lunch. 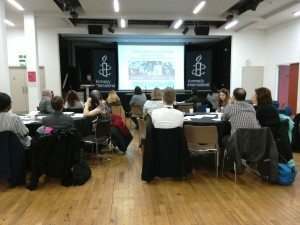 Twilight People also invited the delegates to participate in Twilight People’s sister project Rainbow Pilgrims – Liberal Judaism’s brandnew Heritage Lottery Fund supported project. Stay up to date with Twilight People and join our Newsletter list. 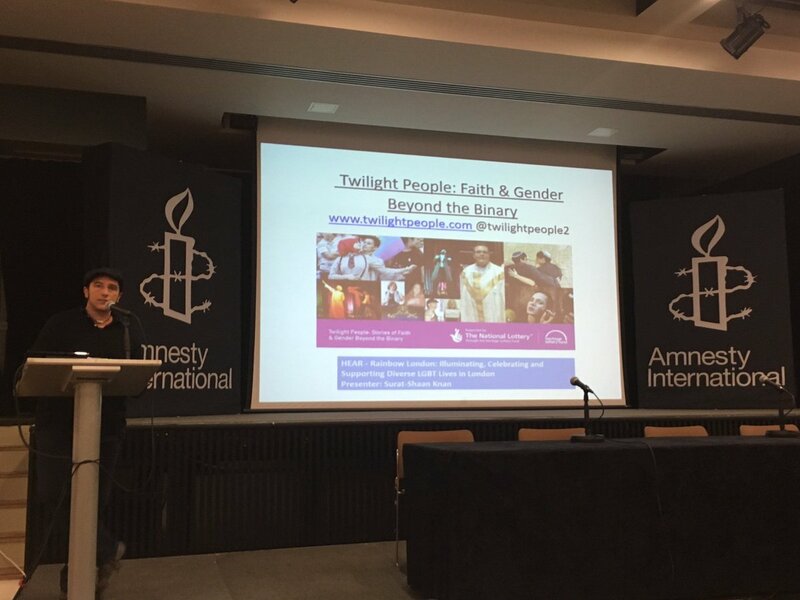 "Another highlight of the day for me was when Surat Shaan Knan of Rainbow Jews told us his personal story and wonderful news, and announced the successful funding bid for Twilight People, a project about trans* people of faith, which I am delighted to announce I will be co-curating. I can't wait for us to work together, and I am sure this really important project will be a huge success!" Twilight People is a project supported by the Heritage Lottery through the Heritage Lottery Fund and hosted by Liberal Judaism.